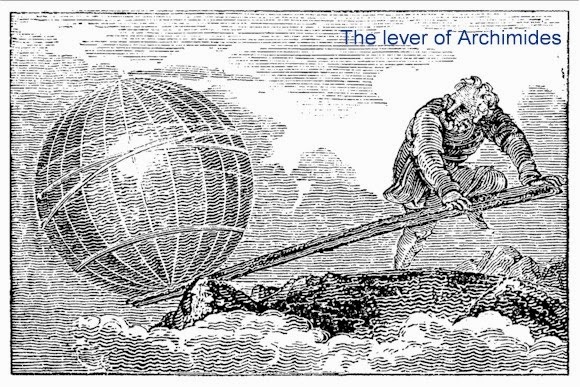 The ancient Greek mathematician, Archimedes, is famously quoted as saying that if he were given a lever that was large enough, he could move the Earth. So leverage is powerful. Foreign Exchange and other brokers use the principle to allow their clients to trade with amounts that are many times the value of what they have available in their accounts (known as equity). Typical leverage ratios are 100:1, meaning that a person with €100,000 in their account could, in theory, take on positions, or one single position, valued at €10 million. In the event of the exchange rate moving in their favour, this would mean that all profits would be multiplied by a factor of 100 over what they would have been if no leverage was used. To place such a trade would not be wise, however, because a move in the opposite direction would mean losses that were 100 times the value of those with 1:1 leverage (no leverage at all). A relatively small move in the wrong direction would then wipe out the account. The ability to trade with many times account value is possible because the broker, in effect, provides a loan. This is secured on the equity in the account, or the amount that could be withdrawn in the event that all positions were to be closed. Should equity looks like disappearing, because of the unwise use of leverage, for example, the broker has the right to liquidate any or all positions in order to protect his loan. In the event that a view has been taken that the AUDUSD pair is about to rise, we will carry out a calculation, based in part on the principles of the Kelly Criterion, which will determine the value of the trade. Because our account is in Euro and we need to buy Aussie dollars with US dollars, the first thing that is determined is the amount we will put at risk, in Euro terms. This will, typically, be 2% of equity, or €2000 on a €100k account. This is converted into USD and a calculation is made to decide the size of the trade, which takes into account the Buy price, the level of our Stop Loss order, which we ALWAYS use, and the amount we want to put at risk. We do not have to do this ourselves, as the Silver Trigger routine works it all out as a matter of course at the time, interrogating the account on a real-time basis in order to determine the amount of equity available. It also takes care of the conversions between the account currency and the Base and Quote currencies in use for the trade, in this example the AUD (Aussie dollar) and the USD. When the calculation is made it will consist of dividing the proposed Value at Risk (VaR), properly adjusted for conversions from the account currency, by what we term the Reach, or the difference between the Buy price (or Sell price in the case of a short trade) and the Stop Loss level. In a typical trade this could result in the placing of an order to buy 250,000 Australian dollars. This amounts to leverage of approximately 2.5 : 1, which represents prudent use of the facility when 100:1 is allowed by the broker. Readers may be wondering if the Silver Trigger managed to safely catch the falling knife of the EURUSD pair, as mentioned in yesterday’s commentary. What happened, you may ask. The answer is: “A great big nothing”. The pair is hovering in a tight short-term range and the Silver Trigger did not detect enough momentum to even place a conditional order.